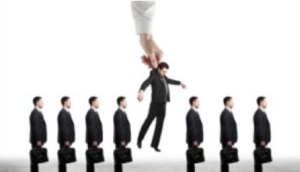 Regardless of tenure or experience, every sales representative is placed in one of three categories by their First Line Sales Manager (FLSM) and senior management. Either your promotable, sustainable or replaceable. Your category is defined by the results you deliver and your perceived value. The results you deliver are typically monthly, quarterly or yearly. Management’s perception of you can change quickly and often does when there is a change in sales leadership. Let’s look at each category separately. 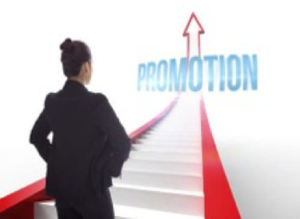 “Promotables” demonstrate consistent above average performance. They are the rain makers year in and year out. They are the self-starters who are confident in their own ability and take coaching willingly. They lead by example. They are the first to answer questions in a group setting and the first to complete any company request. In gatherings, they are the people that others gravitate around. They are like a magnet. In every sales organization, there are some sales representatives that fit into this category, but the pool is small. “Sustainables” are the sales representatives that make their number year or come very close each year. Occasionally they may have an exceptional year. Within the organization they are viewed as Mr. and Ms. Consistency.” They get the job done no matter what obstacles they encounter. They do what they are asked to do and create few or no issues for their FLSM. They are positive and upbeat. They support their FLSM and the company. Most sales representatives within every sales organization fall into this category. No Skill & No Will: These are the sales representatives that are placed on a PIP. They are not making their numbers and no amount or training or coaching will improve their performance. Depending upon your category here are some suggested next steps. Promotable- Expand your relationships within the company. Ask to work on special projects. Invest in your-self. Attend an educational program. Read books on leadership, influence and coaching sales professionals. Improve your business acumen and industry knowledge. Turn your weaknesses into strengths. Sustainable– Keep doing what you’re doing. Continue to receive coaching and deliver results. Be proactive in asking for help. Respond to management’s requests on time. Continue to stay focused and positive. Replaceable– Update your resume and aggressively look for an opportunity that is consistent with your interests and skills. While its possible that some sales representatives who are placed on a PIP can move to the Sustainable category it’s difficult for them to stay there or remove the stigma of being placed on a PIP. If you’re still reading this blog then by now you know which category you fall into and what to do next. Our advice is don’t get too high (if your Promotable) or too complacent (if your Sustainable) or too fearful (if your Replaceable). Keep in mind your FLSM, Director/Vice President and President/CEO are also being evaluated by their boss in the same way. It’s just business.